Francais (f. by Not a Single Doubt). 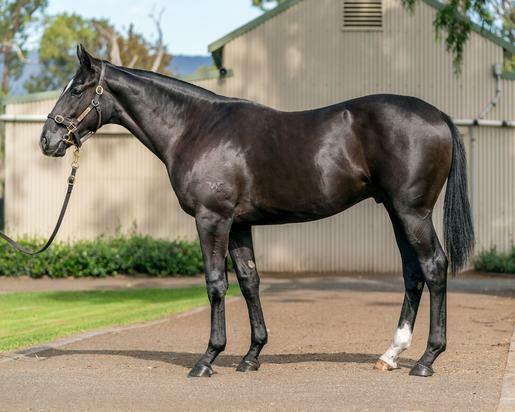 2 wins at 1300m, 1400m, A$95,300, ATC All Too Hard at Vinery H., 2d ATC TAB Rewards H., TAB H., 3d ATC Pro-Ride H., MRC JRA H.
Off the Dial (f. by Smart Missile). 2 wins at 1400m to 2018-19 in Aust. Jeilgosu (c. by Barely a Moment). Winner at 1800m in Korea. CORNELL (Elusive Quality). 4 wins-1 at 2-from 1300m to 1800m, A$190,513, SAJC Port Adelaide Guineas, L, MRC Ahern's at Highways After the Last H., Horsham Cup, 2d Geelong Classic, L, Kyneton Cup, MRC Swettenham Stud Championship Series Heat H., Hyland Race Colours H., 3d SAJC Chairman's S., Gr.3. Rich Endowment. 4 wins at 1400m, 1600m, A$86,330, AJC Dr Grace H., 2d AJC Bacardi H.
French Penn. Winner. See above. In and Away. Winner at 1400m in Aust. Producer. Qipao Queen. Winner at 1500m in 2018-19 in Macau. INTENSE ROMANCE (Intense Focus). 9 wins to 6f, £146,714, to 2018, Ascot Rous S., L, Ayr Arran Sprint S., L, York Betfred Apprentice H., Haydock Be Friendly H., Ascot October Club Charity Fillies' H., 2d Sandown 188bet Extra Place Races H.
IVY LEAGUE (Doyoun). 6 wins. See above. Dutch Treat (Dutch Art). Winner at 2 in 2018, 2d Newbury Denford S., L, South Downs Water 2YO Fillies' S.
Euroman. 4 wins from 2200m to 2600m, A$104,175, to 2017-18, SAJC Hughes Limousines H., MRC Mypunter.com H.
Hunters' Glen. 4 wins from 1800m to 2000m in GB and U.A.E, Nad al Sheba Al Nasr Leisureland H., 3d Jebel Ali Al Shafar Group H.
Deia Sunrise. 3 wins-1 at 2-from 1m to 10½f, Chester Sportingbet H., 2d Newmarket Al Rayan H.
Hampstead Heath. 5 wins from 1900m to 4400m in Ireland, France and Germany, 2d Leopardstown Foxrock H.
Red Ivy. Winner at 2, 3d Curragh Castlemartin Studs 2YO Fillies S., 4th Curragh Tetrarch S., L.
Master Noverre - Boss (H.K.) (Noverre). 3 wins-2 at 2-at 1000m, 1200m in GB and Aust, 2d Newbury Gimcrack S., Gr.2, 3d HKJC Silver Jubilee Cup H., Racehorse Owners Association H.
Miss Faustina. 4 wins from 1000m to 1600m in Ireland and Qatar, Leopardstown Rochestown H., 2d Newmarket Racecourses.co.uk H., 3d Leopardstown Glenbeigh Group H., Qatar Qatar International Invitation Cup. Boston Charm. Champion 2YO Filly in Spain in 2015. 3 wins-2 at 2-at 1400m, 1600m to 2018 in Spain, Madrid Premio Carlos Sobrino. Sportsmaster. 3 wins from 1¼m to 2m, Curragh Derrinstown Stud Apprentice Derby, 2d Leopardstown Irish Stallion Farms 2YO S.
Hedera (Woodman). Winner. See above. TOSHI CANDY (Bubble Gum Fellow). 12 wins to 1400m, 112,118,000¥, Chukyo Tokai TV Hai Procyon S., Gr.3, Nakayama Harukaze S., Urayasu Tokubetsu, 4th Kanazawa JBC Ladies' Classic, L. Producer.